A sunny day. The last few kilometers accompanied by our guides through Myanmar. The first limestone cliffs appear. From Kawkareik, a well-paved road meanders over the Tenasserim ridge. For the first time since leaving Western Turkey, the tires are clinging to undamaged and grippy asphalt. After 170km Mae Sot is reached, the border town to Thailand: from poverty to wealth. Thailand is an infrastructure and economic paradise. We spend the first two nights in the border town planning the next few weeks. 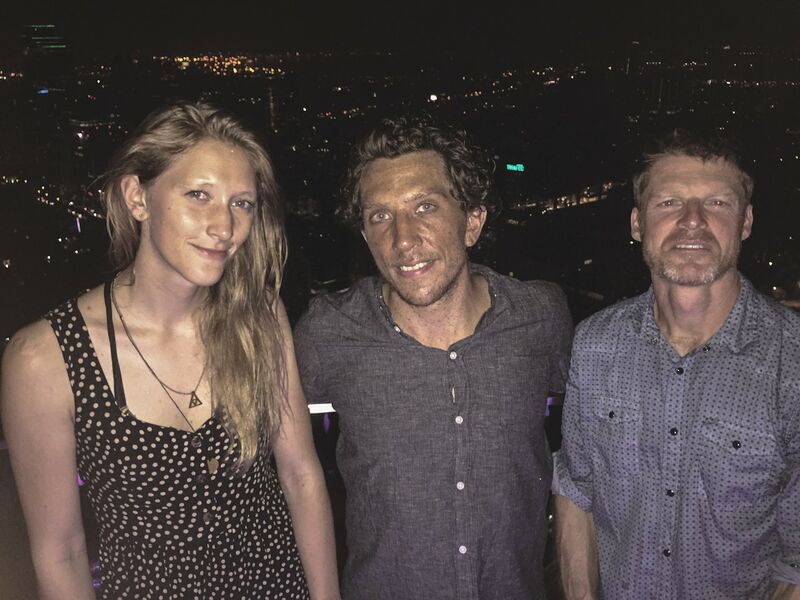 Yes, we have decided to travel through Thailand together. But I’m going to Bangkok first. Two of my best friends from Vienna are already on their way there. I cover the 700km trip in five hours. The hot, humid air and the impenetrable traffic are tough for the KTM and I reach the accomodation just before the engine overheats. I use the time in the metropolis to visit the local KTM workshop. After about 23,000km a full service is quite well. The dust and dirt of the Himalayan adventures are still hanging on the fairing and on every uncovered surface of the motorcycle. I really enjoy strolling through the streets with my friends, trying out the street kitchen and finally speaking Viennese again after months. The four days go by way too fast and the two fly back to Vienna. I head north on my freshly cleaned 950 with new tires. 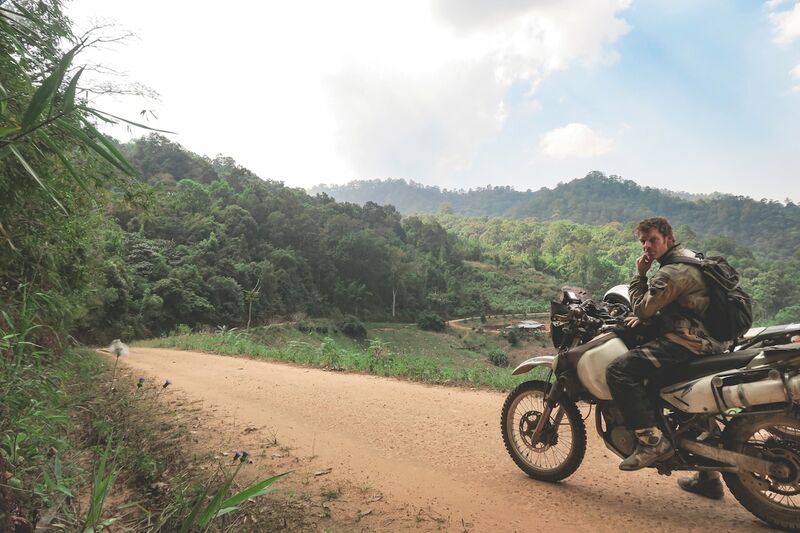 In the meantime, Nora and Joe have set out for Chang Mai and Pai and have already spotted some off-road tracks through the jungles of the north. The perfectly paved road between Chiang Mai and Pai, 800km north of Bangkok is a motorcycle paradise with it’s 762 curves on 150km, and at that time of the year not heavily used. However, the real treasure lies off the beaten track. 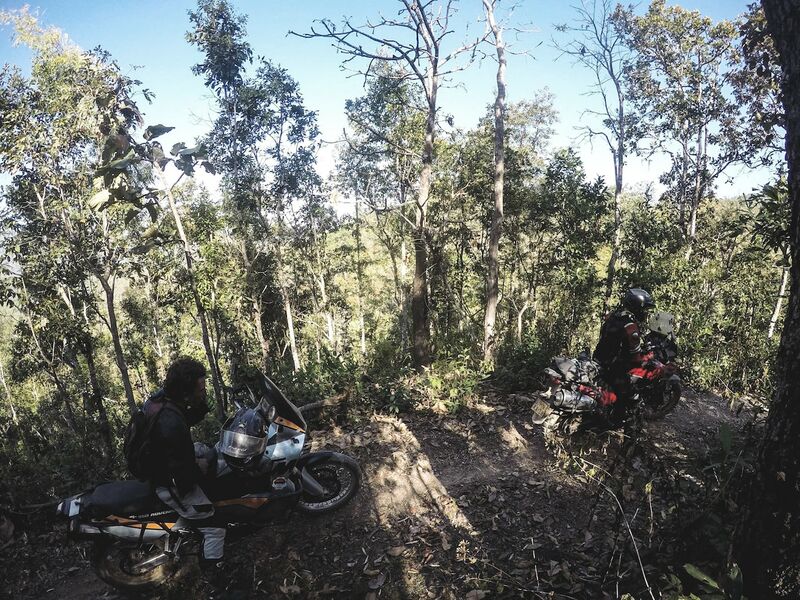 Joe, who already drove long-distance enduro races in New Zealand at the age of 16, takes us through the off-road trails and we see the remote villages and enjoy the beautiful scenery: holy temples that can only be accessed by monks, river crossings and challenging stretches. On a 10 km section that took us three hours, we reached our limits. We spend 10 days in Pai with a rest day and a full-day off-road adventure. To bring some lightness into play, we swap our heavy 650 and 950 machines for agile little Honda CRF 250s. Another day of fun and sweat. In the evening we fall into bed in our bungalows with a view over the mountains of Pai. 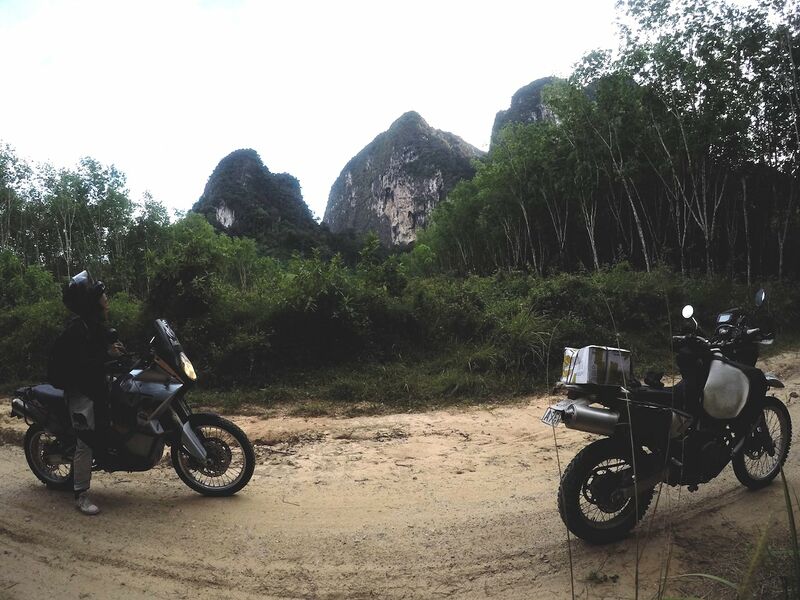 Traveling through Thailand by motorbike has the advantage of being able to move far away from the tourist centers and experience untouched landscapes. After another short stopover in Bangkok to buy oil and spare parts, we go further south and for the first time since Turkey I reach the sea by motorcycle again. There the Mediterranean, here the Gulf of Thailand. 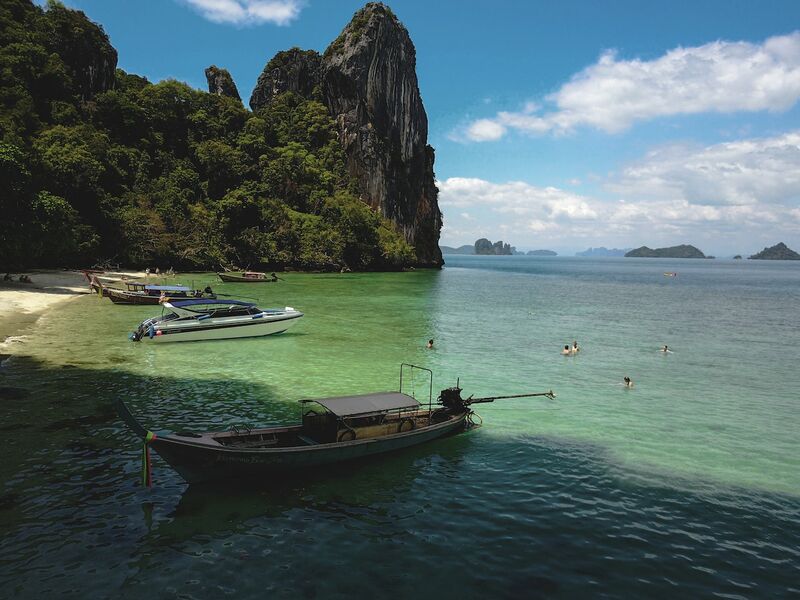 The next destination is Krabi, the place that recalls the backdrop of “Avatar” because of all its limestone formations. A tip brings us to a remote resort in a small bay. A footbridge meanders through the magrove-forest and stretches in front of an endless sand field during the day, which is flooded during the night and the plankton creates a glimmer in the water. A magical place where we enjoy the last days together, before our common paths separate again.